*As we reported earlier, Gabrielle Union celebrated her 40th birthday over the weekend in Miami. 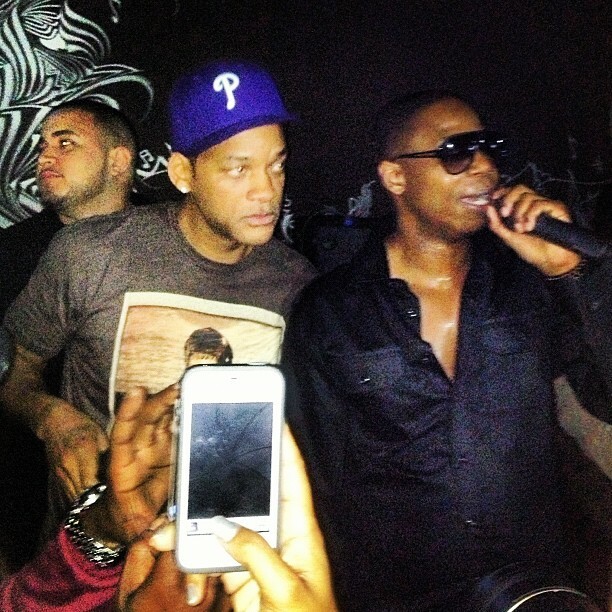 Among the celebs in the hose to help Gabby celebrate was the Fresh Prince himself, Will Smith. Also on hand to make the party even better was the human beat box, Dougie Fresh, who supplied the beat for Will to spit his freestyle rhymes to. And by the way, Will’s Rhymes were kind of edgy, too. After giving the crowd some “Summertime” and the theme song for “The Fresh Prince of Bel-Air,” Will let Doug E. Fresh take over, who proceeded to show the crowd how to get their Dougie on. Next ArticleGay Stance Best Thing to Happen for Chik-Fil-A?